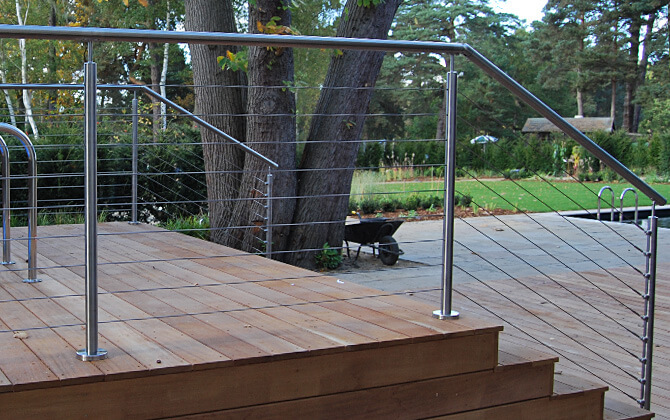 Stainless Steel Balustrade installation at Foxhills Golf Club, Surrey. 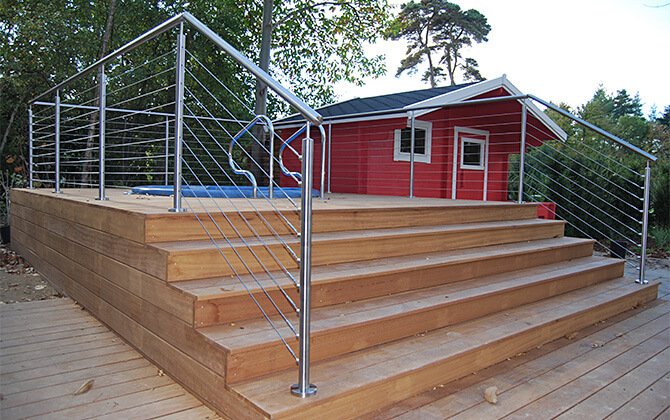 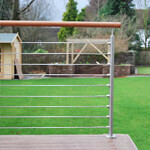 Featuring s3i's Balustrade Wire System as an infill. 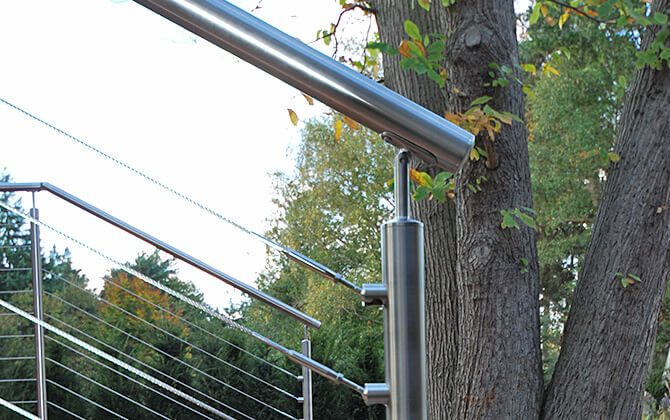 The deck cable assembly is made from Marine Grade stainless steel (316 grade) therefore is perfect for humid environments. 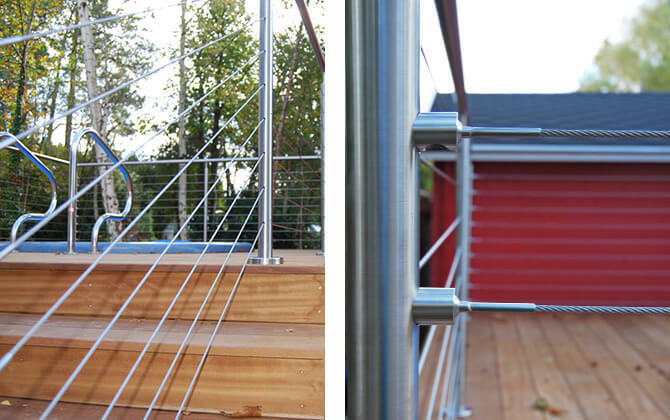 Stainless steel wire offers incredible flexibility - see how the wire has flexed to suit the stair gradient. 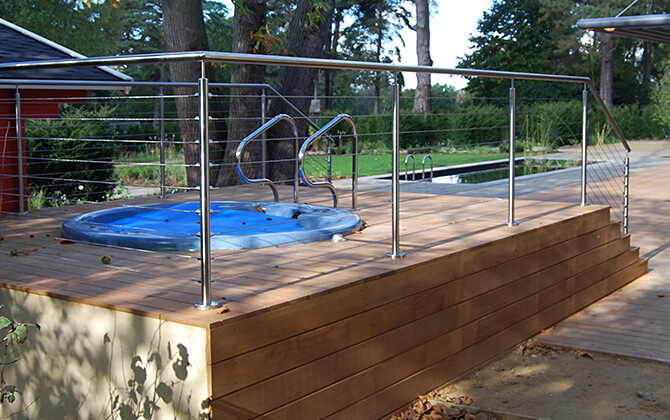 The stainless steel deck balustrade railing wires have provided additional safety surrounding the jacuzzi whilst maintaining the view.